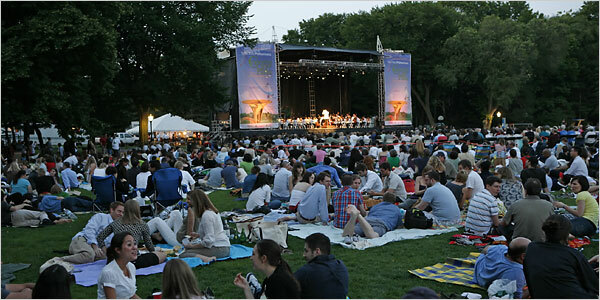 The New York Philharmonic plays a free concert in Central Park this evening. Pull up some grass on the Great Lawn, sneak in a bottle of wine, and enjoy what is always one of the summer's most anticipated musical events. Details here.